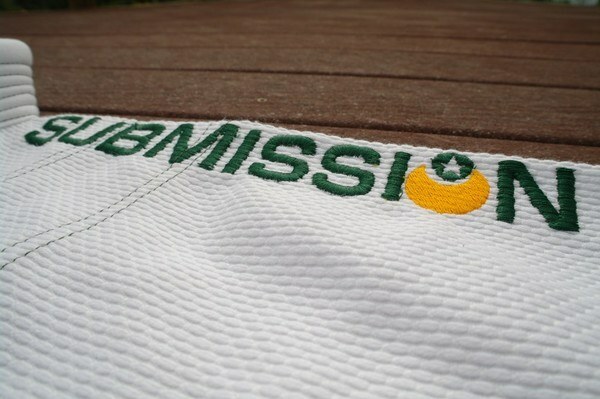 I really liked the way the Submission FC Hemp Sensation Gi felt. It was very soft and I thought it fit well. It’s a very plain Gi (not necessarily a bad thing) but to be honest though, I felt like the construction quality of the Gi was overall very poor. The stitching on the seams and stress points looked very cheap and the Embroidery on the shoulders for the “Submission FC” logo were crooked and didn’t match. I can’t really say if the antimicrobial/antibacterial properties are truly existent or not (I’ll explain more below) but I do highly recommend you wash this Gi just like any other. Based on what we’ve seen in this Gi, we can’t recommend it to our fellow Brazilian Jiu Jitsu practioners simply because we feel there are better quality options out there in the same price range, although that isn’t limited to hemp gis. 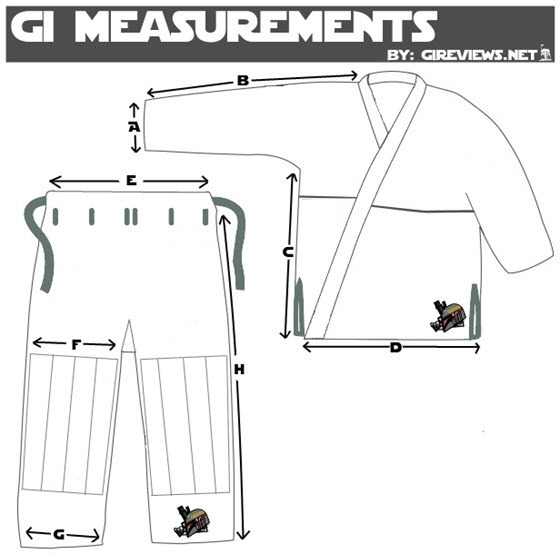 I don’t think this is the worst Gi in existence, but it’s definitely not in the price range it should be in. 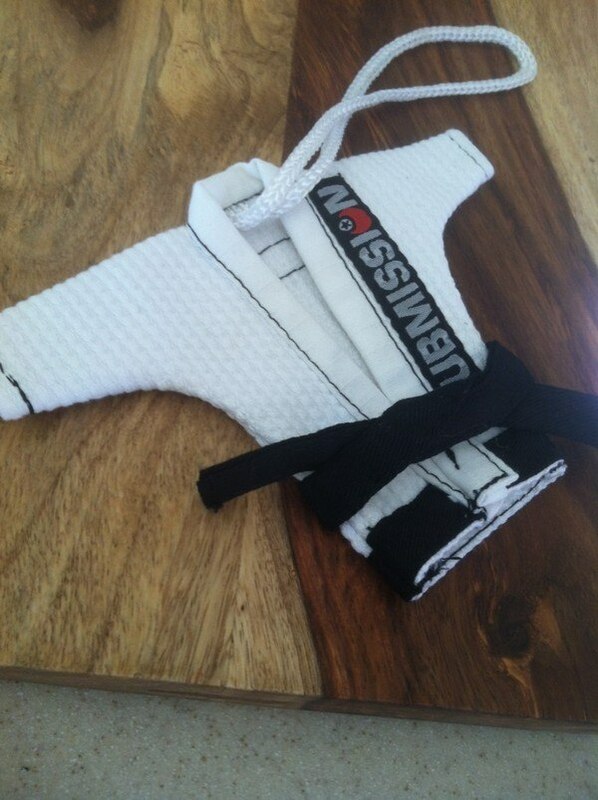 If this was a sub $100 Gi than it wouldn’t be a bad deal to jump on, but it’s not, so it isn’t. If you like the way it looks and want a hemp Gi, I don’t think it’s going to literally fall apart on you (Please see update #1 below, I stand corrected), but the strings coming undone, stitching quality and embroidery quality definitely leave much to be desired. First Hemp Gi made with style! UPDATE: We did find this scientific paper published in 2014 that provides evidence that hemp has antibacterial properties. 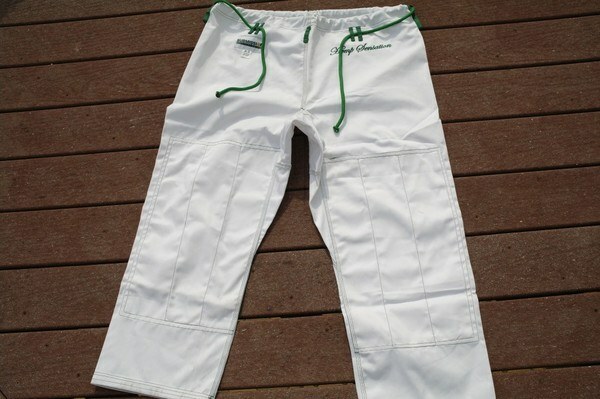 Have you checked out the 100% hemp gis from Datsusara? 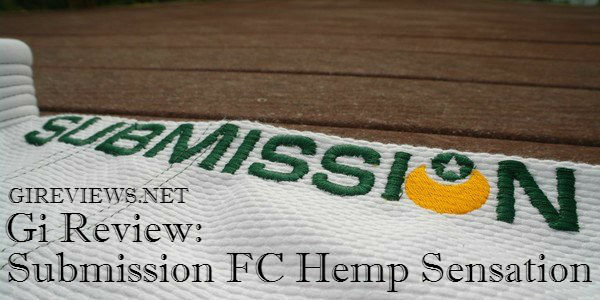 I am a big advocate of hemp and love that a bjj gi brand has finally gotten into the use of hemp material for bjj products. When I first saw this gi a while ago I had to buy one so I did and is still my favorite gi. It is so soft and comfortable and still looks brand new. I am surprised to see this review because If I had seen this review before my purchase I probably wouldn’t have bought one. Good thing that wasn’t the case because I couldn’t be happier with this gi. I just checked my gi to see if I see the same issues you mentioned Dan, but I don’t. 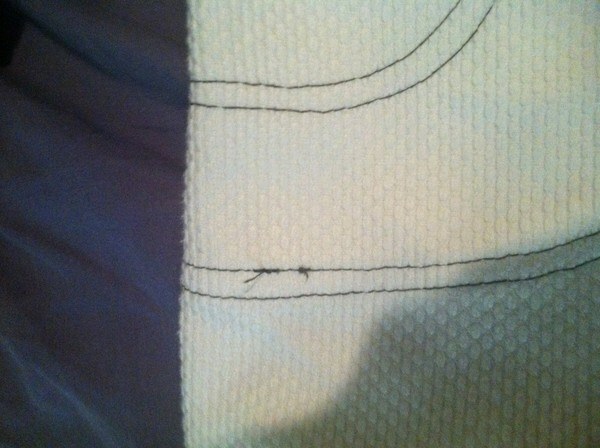 The pictures you took show the gi to be really classy and stitching to be perfect. I have heard of the Datsusara gi online as well and have only seen one guy wear it before and when i asked him about it he said he wasn’t too happy about it. I still love that its hemp and the $200 price tag scared me away. I’m glad you had a good experience with your SubFC Hemp Sensation, maybe I got a one that was made by the new guy? Regardless, the first picture I took clearly shows stitching errors and I can’t really fathom why you would say the pictures I took show the stitches to be perfect. 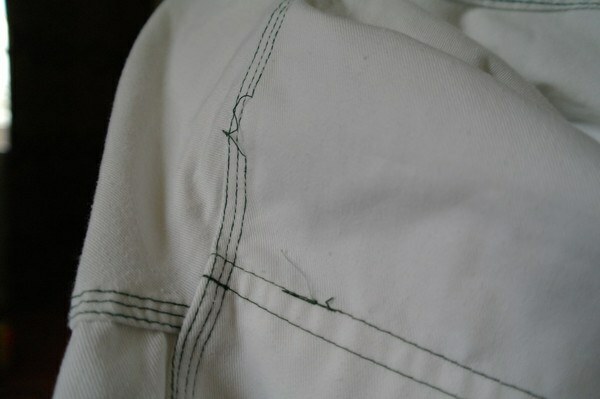 I do have more pictures of the stitches on the back of the Gi that are very crooked that I should probably post. I own a Hemp Sensation GI — it’s currently my primary gi. It’s comfortable as hell – and just gets more and more comfy. I can state that I had QC issues with it though — mostly minor things (loose threads, some interior stitching appearing a bit off. There were a few slightly misaligned contrast stitching spots, but honestly, it’s a handmade gi and most of the contrast stitched gi’s have similar issues. I have not had a single durability concern with the gi myself. The anti-microbal stuff, while not scientific, you can get a reasonably good idea from leaving your gi in your nasty bag for a few days after a good rolling session, and see if it’s funky or not. I’ve done this (unintentionally) a few times, and while my rashguard and whatnot smell HORRIBLE, the gi doesn’t have any scent to it, aside from the ‘grassy’ smell it had out of the bag. It’s great to have alternative views for all of these reviews and that’s what makes this site awesome, the community that goes along with it. Like Brendan said, we are definitely glad yours is working out, and our reviews are only a reflection of the Gi we reviewed itself. I definitely agree that the Gi is soft, it’s very comfortable to wear. Great review, with new products being introduced there are going to be flaws, if Submission FC would fix their issues by talking to their factory and getting it straight, more new customers would not be having the same issue . 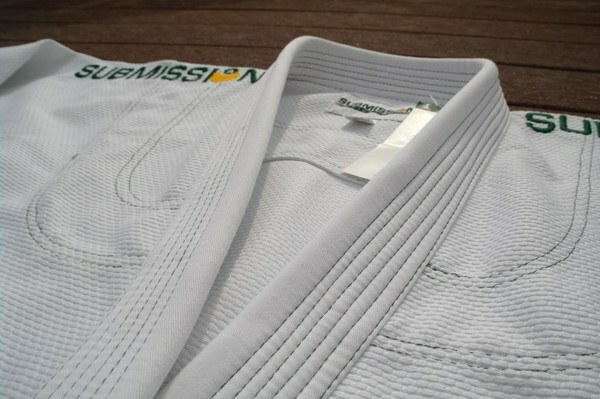 I have had a Hemp Sensation Gi for about a month now, using it consistently as my go to GI. While initially I thought that it was tight across the chest for me (5’10 205, muscular build) A3, I’ve since become used to the fit, and my team mates have a hell of a time collar choking me with it. That being said, the pants are super baggy, worse than even the tiger-claw brand judo-gi pants that I had doing Judo back in ’05. As far as quality… I’ve noticed some sloppy stitching and some little issues in the weave, but so far it’s held up pretty well. I abuse the hell out of it (hot water wash, dry in the dryer) and It has not shrunk very much at all, even after the initial wash. Sleeves are just a little long for my tastes, but I have not yet found a GI that I particularly like the sleeve length (Fuji, Ground Control, Shoyoroll(borrowed)) taken all into consideration, I think this is my favorite GI top out of my rotation, but I HATE the pants. Totally agree with you on the pants Josh, probably my least favorite out of all the Gi’s I own. They’re just huge. I bought this gi from their official website, and mine came with a lot of flaws – bad stitching all around, threads popping out of the fabric, and etc… They refused to refund or exchange with very blunt email replies. Reported them to BBB and they wouldn’t budge. My old Mikado gi, roughly about 60 dollars, is a way better product than this. Yeah, after being f*ed by Submission FC, I picked up Muae wear’s Oniwakamaru from my trip to Korea. I love everything about the gi! This with my Strata New Classic are my favorites! muae is no freaking joke. wait until you see our review of it! Love the site guys, I am a huge fan! When I read your review on this product, I figured that you had just received a lemon. I purchased the gi anyways because I had been eyeing it for some time. 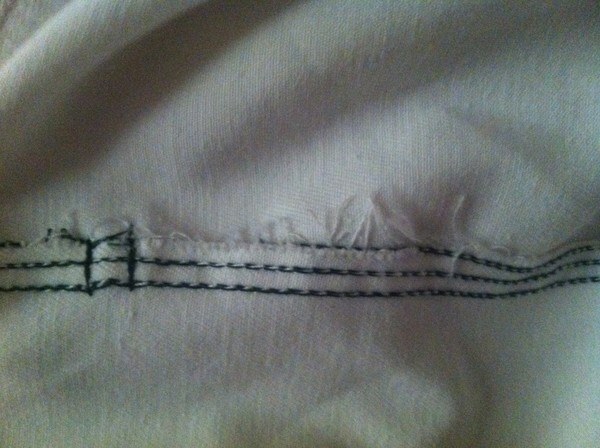 My gi pants turned out having the same flaws as you describe in about 4 or 5 different areas and began to unravel. However, when I emailed customer service about the problems, i received EXCELLENT CUSTOMER SERVICE. I got my email returned the same day and a new pair of pants shipped to me free of cost the very next day. Hopefully these flaws were just a failed batch and they have fixed the problem. All in all, i love the feel of the gi even though it is quite baggier than my other gis. I’m sorry to hear others on this site have not received the same outstanding treatment from the company that I have.